Lookout! The little man wants to steal your flag. Build a maze and see how long you can distract him before he gets it.An a-maze-ing game of flag keepaway.Lookout! The little man wants to steal your flag. 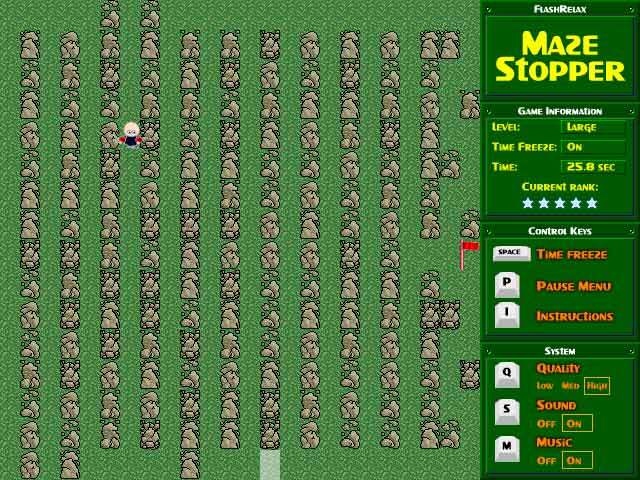 Be the Maze Stopper in this online game and keep him from it for as long as you can. 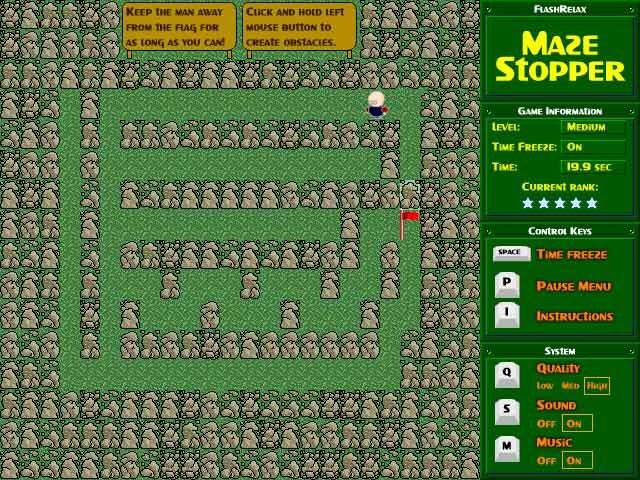 Click and hold your mouse button to create obstacles. Press the space bar to freeze the action. When the screen is frozen, you can delete old obstacles and place new ones. 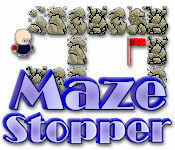 You'll have to use sneaky tricks and advance planning skills to advance to the most difficult level of Maze Stopper.